It's always nice to start with basics so I started with two of my favorites - Balsamic Vinegar and Italian. Whisk together 1/4 cup of balsamic vinegar, 1 tsp of dark brown sugar, 1/2 tsp of garlic powder, 1/2 tsp of salt, 1/2 tsp of fresh ground black pepper, and 3/4 cup of good quality olive oil. Use immediately or store in the refrigerator and shake well before use. Whisk together 1/2 cup of olive oil, 1/4 cup of vegetable oil, 1/3 cup of red wine vinegar, 1/2 tsp of oregano, 1/4 tsp of garlic powder, 1 tsp of dried basil, 2 tsp of sugar, 1/8 tsp of red pepper flakes, and salt and pepper to taste. Refrigerate for at least an hour and shake well before use. 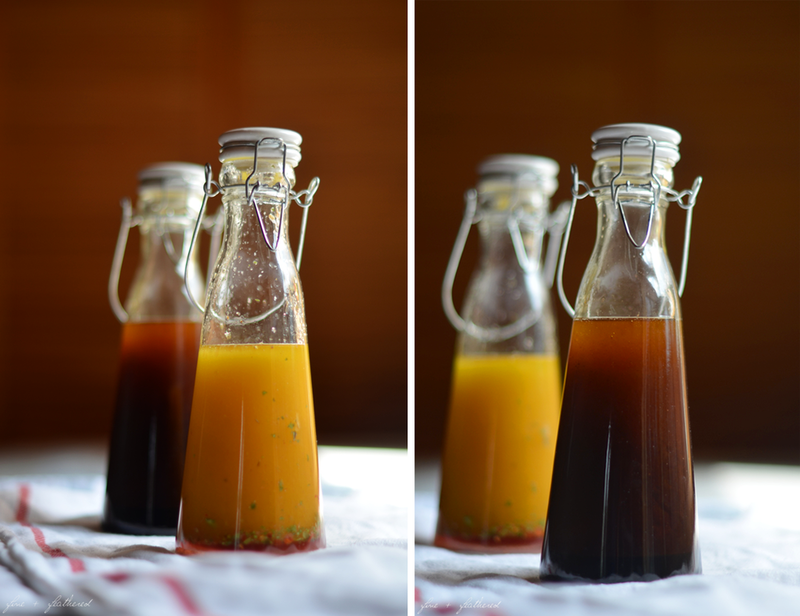 Anyone else been whipping up their own dressings? I'd love to learn to make some other ones!